Description: Worried about daily oil control measures not letting your skin breathe? 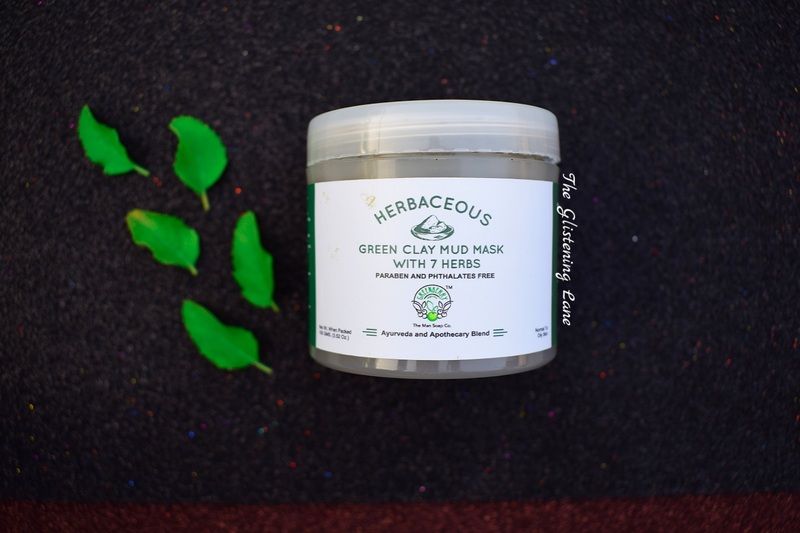 Greenberry Organics Herbaceous Green Clay Mud Mask is filled with the goodness of 7 precious herbs to help rejuvenate your skin. Armed with the goodness of Bentonite and Green Clay which helps in detoxification and exfoliation of skin’s top most layers where oil is predominantly present. 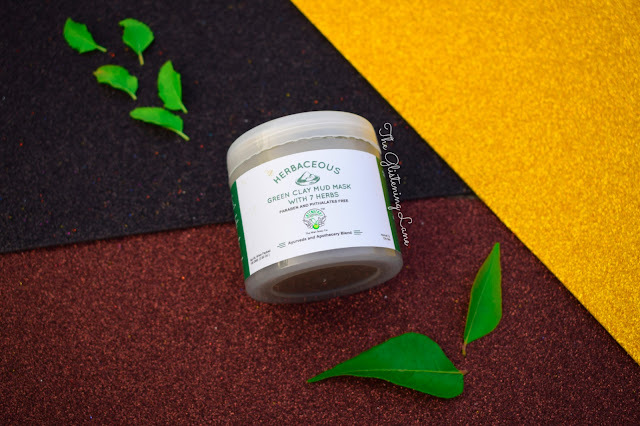 The 7 powerful Herbs and extracts of Neem, Carrot Seed, Wild Turmeric, Aloe Vera, Manjishtha and Tea Tree helps build up the perfect oil free skin texture. Note: The product contains 100% Natural ingredients. May cause slight irritation to some. Patch test recommended. Natural products may have seasonal colour and property changes. Store in cool dry place. Keep out of the reach of children. Not to be used internally. If contacted with eyes, rinse with cool water immediately. Use the product on a slightly damp face as a mask, apply all over the face liberally (Avoid direct contact with eyes, mouth and nostrils). Let the product stay for 10 - 15 Minutes. Wash the product off the face gently and slowly. Apply a couple of sprays of Greenberry Organic's Pure Rose & Cucumber Mist and Toner for a better effect. Use a finishing lotion or cream if required. Feel the difference. Buy Online: You can purchase it at discounted rates from amazon. 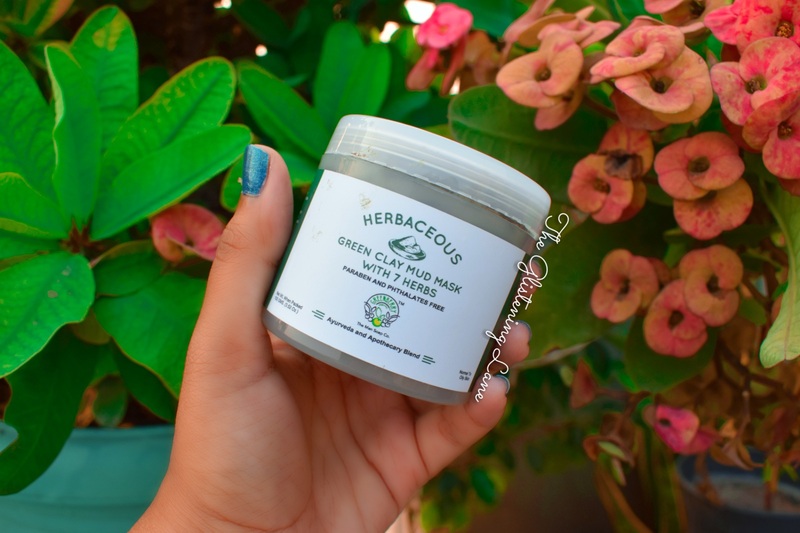 Packaging: By now, I think I’ve pretty much elaborated a lot of the times as to how the packaging of all Greenberry Organics products is. Comes in plastic translucent jar with colour coding of green because of course, its ‘herbaceous’ mask. 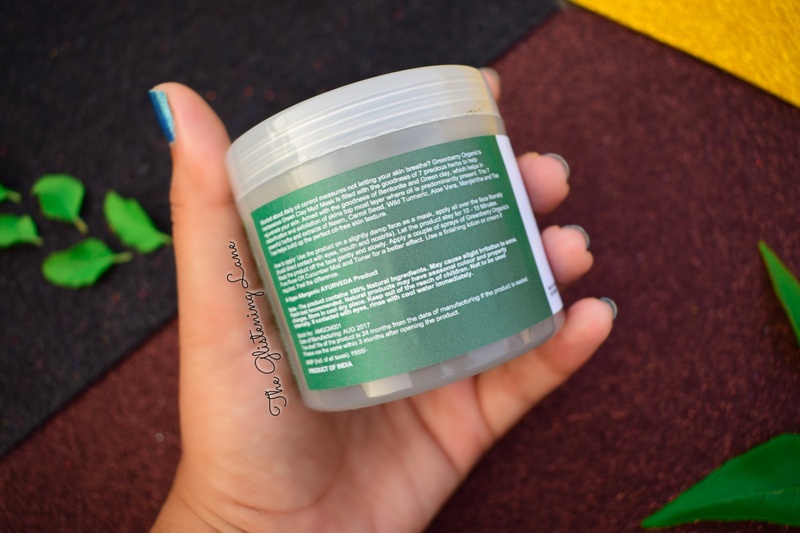 Details concerning product, such as ingredients, price, manufacturing details and all that jazz is stated onto the jar. The lid is one of those which opens via rotating mechanism and the mask inside isn’t into liquid form, hence no spill! When masks come within the tube form, I simply mess up my fingers to apply the goodness endowed within the product. Having a jar for mask is convenient only when you are onto the last resort of content and wanna use it to its optimum level. But from another perspective, getting jars of masks would definitely transfer bacteria from hands or face. You might say “Duh; young lady, go and wash your face plus hands first”. 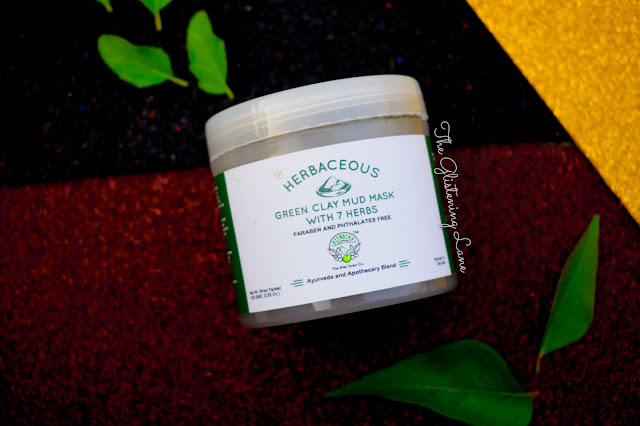 Alternatively, you can use those face mask brushes but make sure to wash them before and after every use. Although Ayurvedic products take time in showing results, but make sure to use products meant for your skin type. 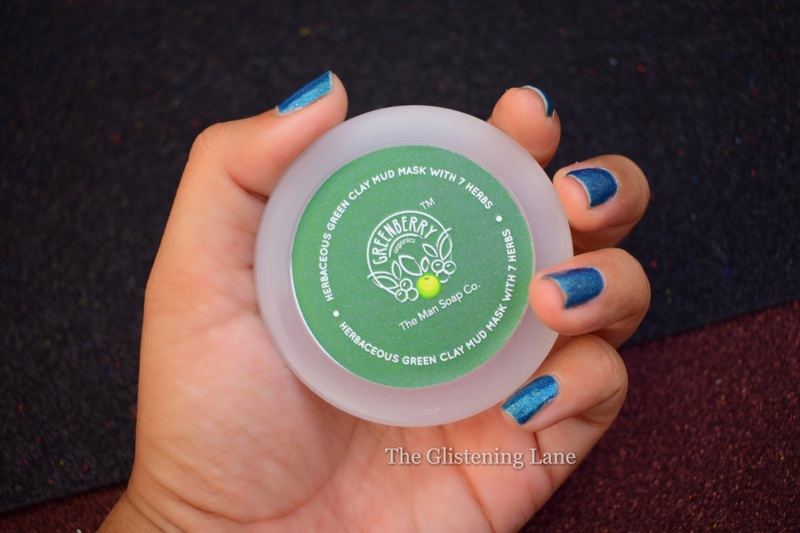 Greenberry Organics offers variety of masks & you can go ahead and pick one that suits your skin. Also in case you’re wondering, face mask brushes make everything so super-convenient! And you don’t necessarily need to go and buy some expensive one because they’d pretty much do what exactly they are meant for. Plus if you spend on the expensive one, chances are – even if its hair gets ruined, your heart would ache to toss it into the bin! The texture of this mask is somewhat thicker than how usually the masks are. But this way it probably helps in not making the jars messy. So for using this mask, you can use damp fingers or brush and let it be smoothened onto the face. There might be some tingling sensation but it would subside within a minute or two. 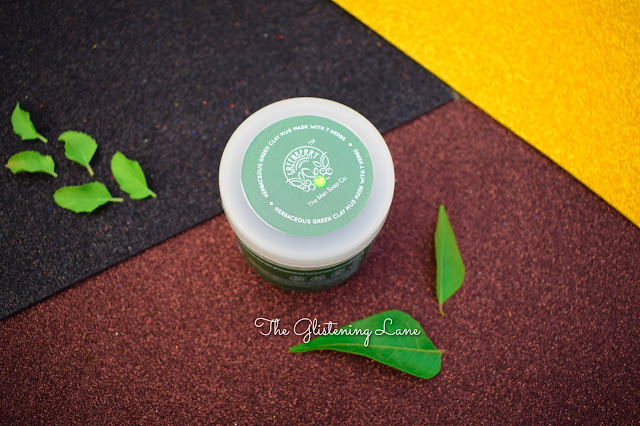 Unlike some of the GBO masks, like their gels ones, this one can be kept on the face till it dries up. After drying, you can wash it off like usually you would with water and once dried up, it appears exactly how Himalaya Neem Face Mask looks and feels on removing. Onto the effect that it endows on the skin; I feel it pretty much leaves the skin soft to touch and radiant on appearance. 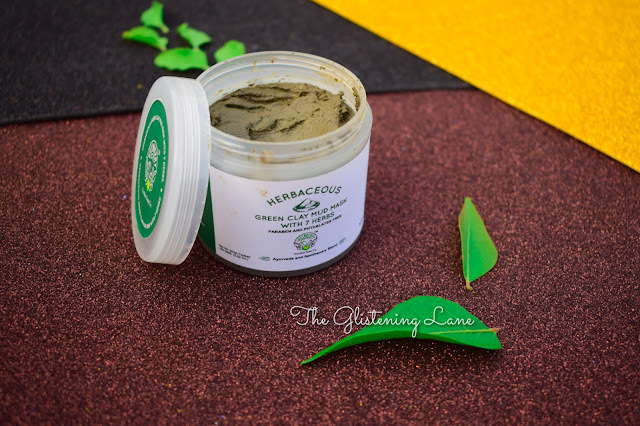 Since it has Neem, you can expect it to help fight acne causing bacteria. It definitely doesn’t cause new bumps onto the face but onto my big bump at chin, it didn’t do much to soothe or calm the same. 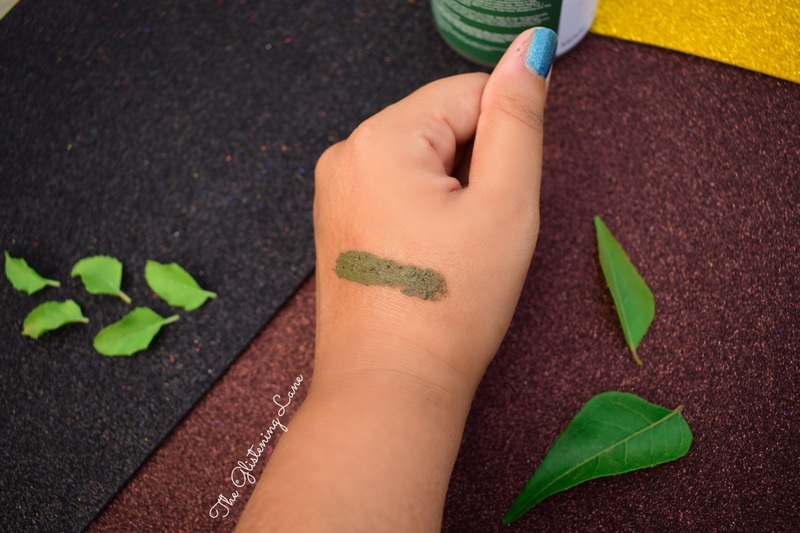 Probably one or two uses might not show that much results because as I said ayurvedic products take time to show effect and within the long run they are quite safe to use. Also, I could see no excess sebum after wash. But it did not dry out the skin. Some time back, Greenberry Organics had a different constituent within their Mud Ash 3 in 1 Face Care which worked immensely well for super oily skin but for others it kinda made the skin dry. 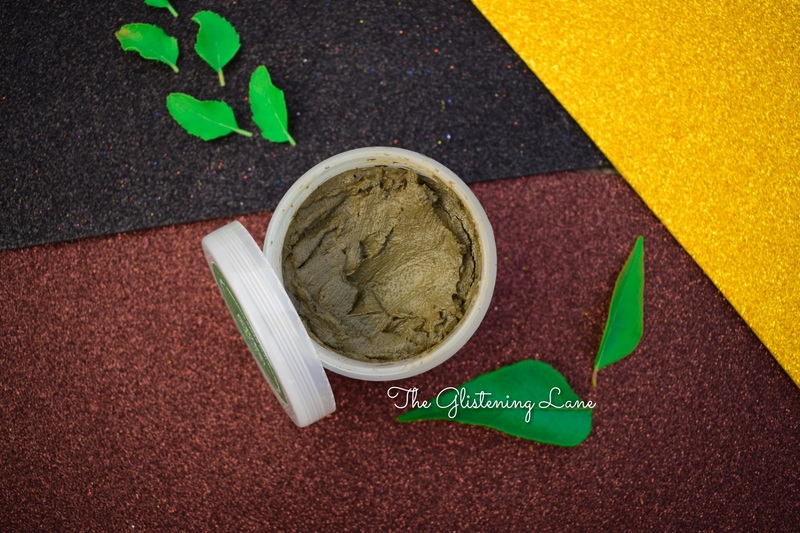 Thankfully, since then they’ve taken this factor into consideration and not only revamped the ingredients of Mud Ash Face Care but also made sure to insert at least one hydrating ingredient so that the skin doesn’t feel stretchy. 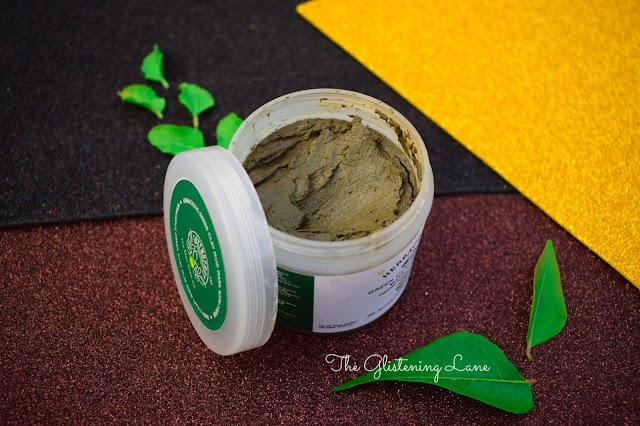 I’ve reviewed the older variant of Mud Ash Face Care on my blog before; in case you want detailed review or my opinion on the new formulation, please feel free to leave a comment down below. Lastly, one thing that I noticed was an issue that not only happened within this mask’s jar but before as well. The newly lid closes conveniently but after say two uses the lid doesn’t sit properly onto the jar. I’ve have had their Anti Acne variant mask too wherein this problem persisted. One solution is removing the additional plastic layer that sits between jar and product lid. That way it closes well but otherwise it’s a disappointment. The new jars with transparent body don’t have that issue but with the translucent ones, I did encounter this and it happened not just once.